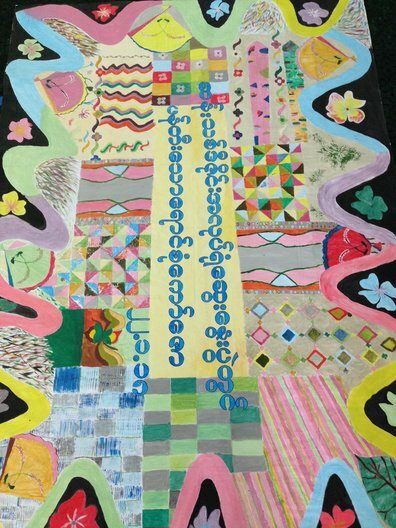 As part of the Crafting Futures programme, Plymouth College of Art have been working in Myanmar. Here we hear from Paul Singleton about his visits there. I’ve been fortunate to have made 2 visits to Myanmar. One in August 2017 and recently in January 2018. 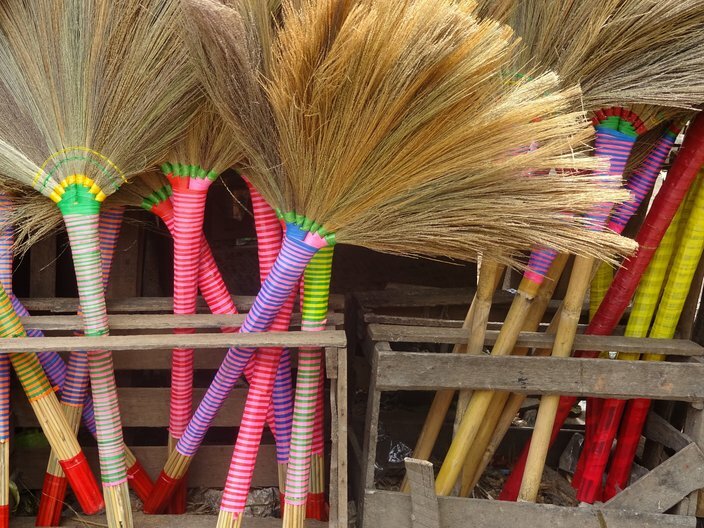 When you’re not conversant with the local language everything sounds like a song or rhythmical poetry, you make your own sense of words spoken and incidental sounds from the street. So, every morning around 6am the playful tune which I heard from the street, I interpreted into a waking jingle to start my day. All the sounds I’ve heard in Myanmar are playful and joyous. I’m a textile designer and always interested in materials and decoration. 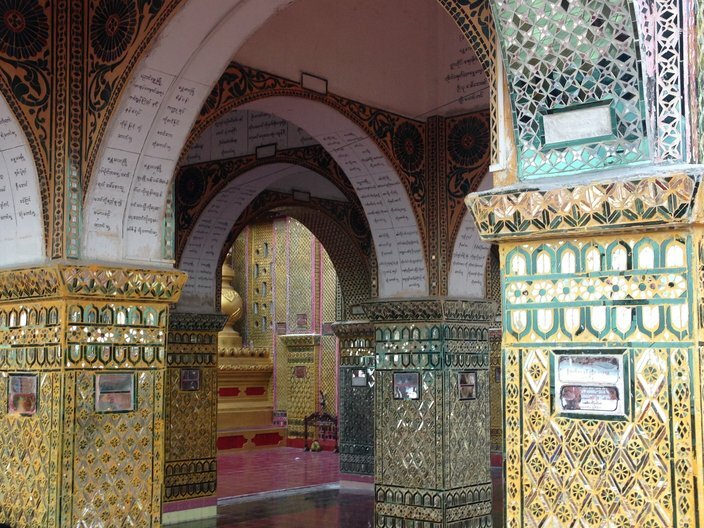 I was amazed by the decoration and colour of the temple on the top of Mandalay Hill. 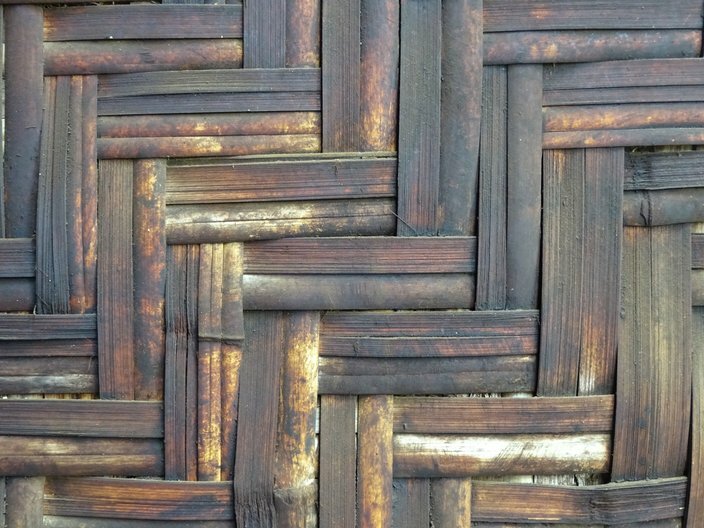 It’s a fantastic treasure for someone with my fascination for colour, pattern and texture. 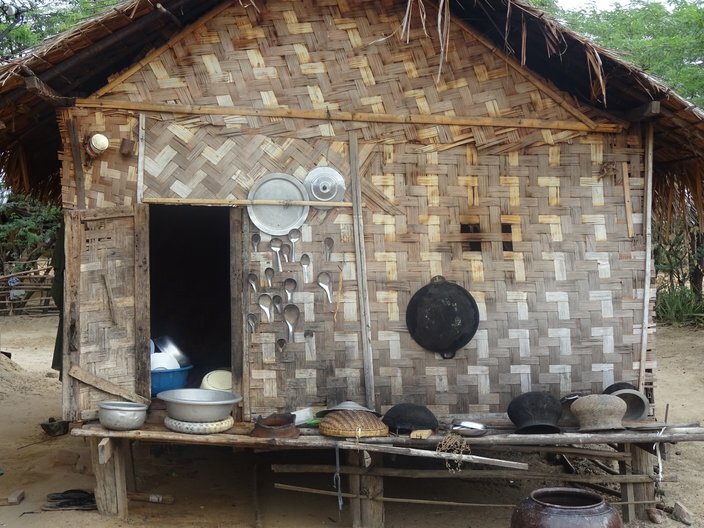 A short walk down any street in Myanmar brings you face to face with invention and improvisation as you see the material world being constructed at the side of the road; welding, stone carving, sewing, weaving, wood working, basket weaving, repairing and fixing. There is such a vast array of making skills at work and then there is the recycling and repurposing of one defunct thing in order to create a useful other thing. In the west we’ve lost the value and sense in repairing, in Myanmar it’s an everyday occurrence and it’s a joy to see and to see all the craft skills being used to support progress and purpose. So, this aspect of life in Myanmar has a particular interest for me. 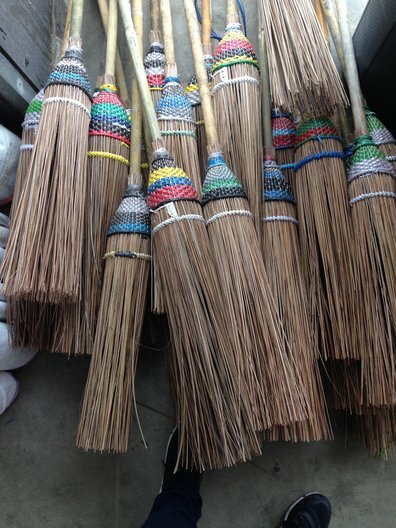 With my fascination for things made by hand, I’ve really enjoyed seeing all the uses of bamboo, as a building material and decoration. 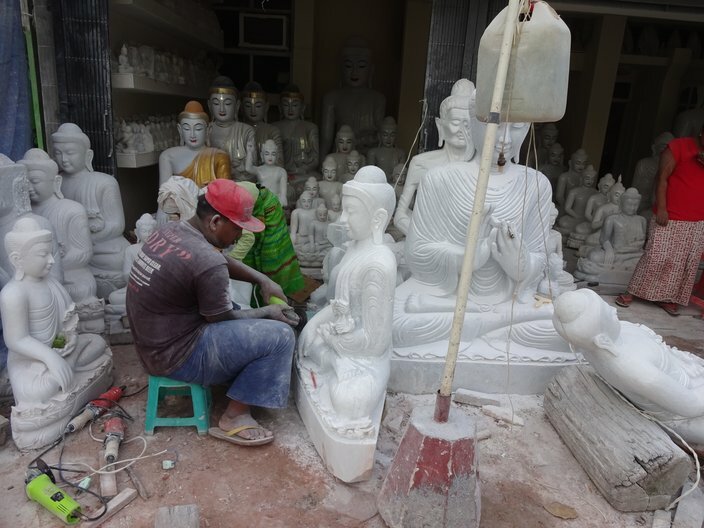 Travelling along the road on the outskirts of Mandalay, I could hardly believe my eyes when I saw the most amazing production line of Buddha statues being carved on the roadside. There they all were in varying degrees of finish, finesse and size. 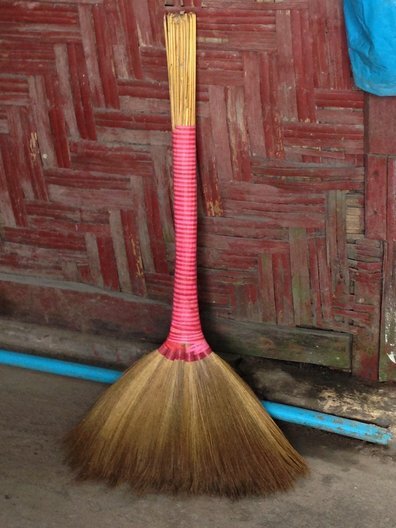 With making and improvising being so evident in Myanmar, even a humble broom is given the consideration of decorative design. I couldn’t help finding these simple items so charming in the way they are created and decorated, each one has it’s own character. 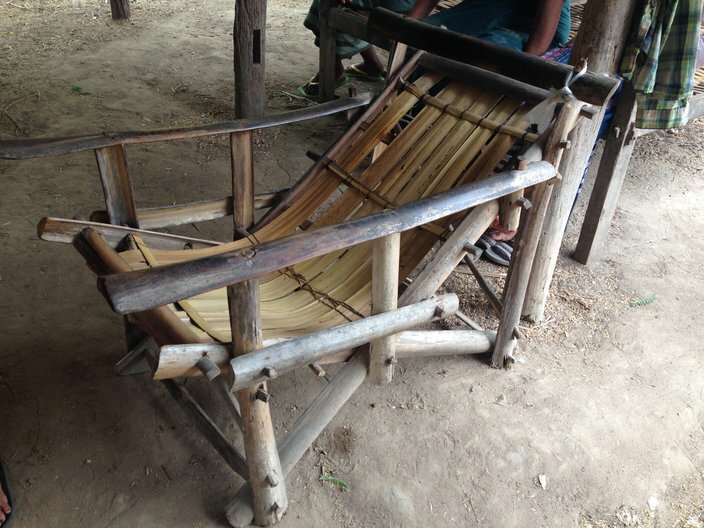 The reason for my visits to Myanmar is to work with the British Council to help develop the curriculum and educational package for students of textile design at the Saunders School and 13 other vocational weaving schools. I’ve run 2 weeks of interesting and experimental workshops around textiles and teaching methods. Working with teachers from a variety of vocational schools we explored the value of group working and looked for alternative practises to the traditional ‘chalk and talk’ approach. The groups I worked with were really open minded and keen to find new ways of teaching to inspire their students. 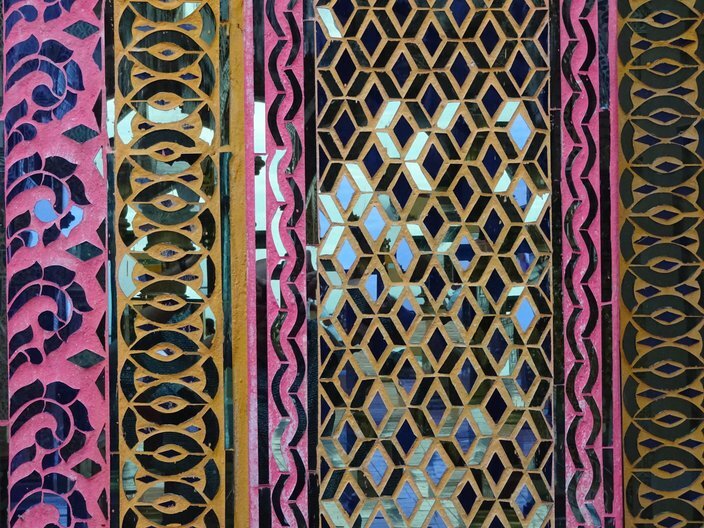 With very little experience of designing ‘new’, being creative with pattern colour and texture, the teacher’s explored new concepts such as storyboards, colour trends and colour theory, and application ideas for export markets using traditional patterns as the reference point. 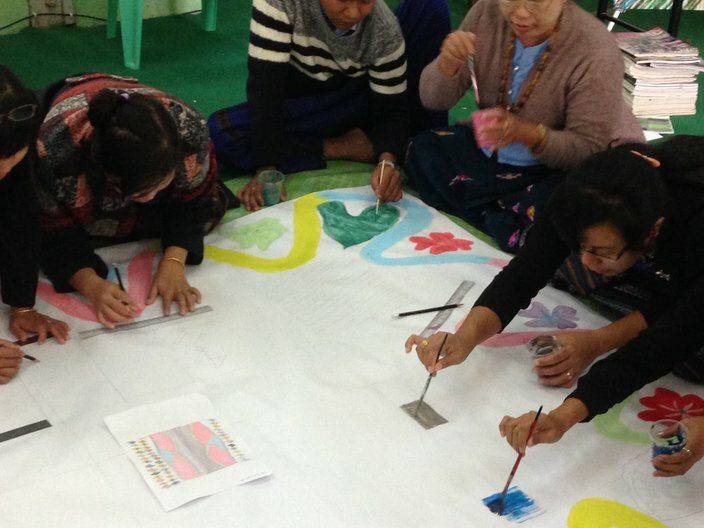 The workshops concluded with a 2 day design event to collectively create a new carpet design.